Fusion GPS tapped one of its contractors to investigate allegations made in the Steele dossier against Russian tech executive Aleksej Gubarev. The dossier alleged Gubarev was recruited as a Russian agent and took part in the hacking of Democrats’ computer systems. But the internal Fusion GPS report, published here for the first time, painted Gubarev in a positive light. Fusion’s sources doubted Gubarev took part in the alleged hacking. In an effort to bolster the Steele dossier, Fusion GPS, the firm that commissioned the infamous report, tapped one of its contractors to investigate a Russian businessman accused of hacking Democrats’ computer systems. But that contractor, a Russia expert named Edward Baumgartner, came back with something that was perhaps disappointing to Fusion GPS. According to an internal Fusion GPS report obtained by The Daily Caller News Foundation, Baumgartner’s Russian sources painted the Russian, Aleksej Gubarev, in largely positive terms. Unlikely, the sources claimed, had Gubarev taken part in the hacking operation, as former British spy Christopher Steele claimed in his dossier. “Our interviews of people familiar with Gubarev paint a picture of a relatively well-known person in the IT sector with an entirely positive reputation as a successful self-made entrepreneur,” reads the five-page report, which was provided as evidence in a lawsuit that Gubarev filed against BuzzFeed News. Gubarev sued BuzzFeed and Steele in February 2017 over the dossier, claiming the allegations were defamatory. In one memo, Steele alleged Gubarev was “recruited under duress” by Russia’s intelligence service, the FSB, and was a “significant” player in an operation to use botnets and viruses to steal information from Democrats. While working for the DNC and Clinton campaign, Fusion GPS hired Steele in June 2016 to investigate Donald Trump’s possible ties to Russia. Steele, a former MI6 officer, produced 17 separate memos laying out an alleged conspiracy between the Trump campaign and Russians. Steele’s allegations about Gubarev are laid out in the dossier’s final memo, dated Dec. 13, 2016. Gubarev, who owns the webhosting companies XBT and Webzilla, asserted that neither BuzzFeed nor Steele attempted to vet the claims made in the dossier. The Baumgartner memo suggests Fusion GPS also did not conduct due diligence before BuzzFeed published the dossier. BuzzFeed initially apologized to Gubarev and redacted his name from a version of the dossier it published online Jan. 10, 2017. A federal judge in Florida ruled in BuzzFeed’s favor Dec. 19, 2018, though Gubarev is appealing the decision. A slew of confidential documents were unsealed in the case Thursday. Baumgartner’s report does not have a date, and Fritsch, the Fusion GPS executive, declined to provide those details during his deposition. But it is clear from Baumgartner’s document that it was created at some point after BuzzFeed published the dossier. “The only cause for concern regarding Gubarev comes from an article recently published on the US web portal Buzzfeed about Donald Trump’s ties to Russia’s leaders, who had allegedly collected compromising materials on the newly elected US president,” the report reads. Baumgartner interviewed several Russian experts, all of whom praised Gubarev. “Before the ‘attack’ by the US press, I had never heard of Gubarev’s involvement in any compromising activities. In the industry, he is known as a talented entrepreneur who created his own data centre in Moscow,” the source said, according to the report. Fusion GPS worked with Baumgartner on several other projects prior to the Gubarev report. 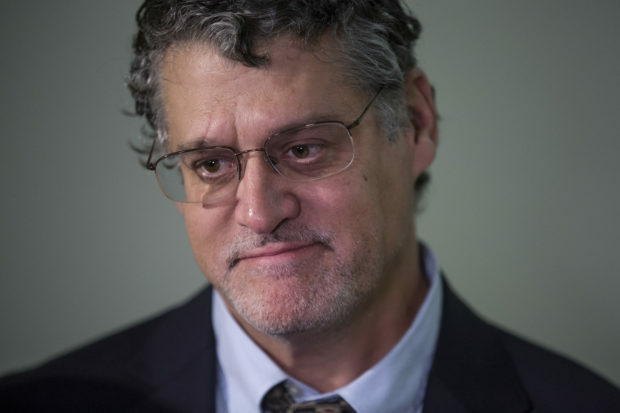 Fusion GPS used him to investigate former Trump campaign chairman Paul Manafort and Bill Browder, a London-based financier who is the leading force behind the Magnitsky Act, a U.S. law that sanctions Russian human rights abusers. Fusion GPS investigated Browder on behalf of Prevezon Holdings, a Russian company that has settled with the U.S. Justice Department over money laundering claims. BuzzFeed mounted its own attempt to support the dossier’s allegations about Gubarev. The results were nearly as futile as Fusion’s efforts, but seemingly more expensive. The website hired Anthony Ferrante, a former FBI agent and consultant with FTI Consulting, to find evidence to support the allegations against Gubarev and his companies. According to a deposition that Ferrante gave in the Gubarev lawsuit, BuzzFeed paid his team $4.1 million for its investigation of Gubarev. Several news outlets published a summary of Ferrante’s final report Thursday, just after the records were unsealed in the BuzzFeed/Gubarev lawsuit. According to Ferrante’s report, Russian hackers might have used XBT and Webzilla’s servers to carry out cyberattacks. Ferrante also alleged Gubarev and his company’s executives did nothing to prevent hackers from using their infrastructure. But ultimately, Ferrante acknowledged there was no evidence backing up the core claim made about Gubarev in the dossier: that he was working with Russians to hack Democrats. “I have no evidence of them actually sitting behind a keyboard,” Ferrante said in his deposition. Evan Fray-Witzer, an attorney for Gubarev, blasted BuzzFeed and Fusion GPS for what he says is their failed attempts to prove the dossier. “Buzzfeed spent $4.1 million on a team of former FBI agents to try to prove that Gubarev and his companies did what was alleged in the Steele Dossier and came up empty-handed,” Fray-Witzer told TheDCNF. “Their own expert concluded that he could not place Gubarev or anyone from Webzilla or XBT behind a keyboard doing anything remotely connected to hacking the DNC,” he added. Fray-Witzer also criticized Fusion GPS. “Fusion set out to help Steele by proving that Gubarev had done something wrong, but everyone he interviewed came back and said that they couldn’t imagine Gubarev having had any involvement in the DNC hacking,” he said. The lawyer asserted special counsel Robert Mueller also apparently sees no link between Gubarev and Russian hacking. “We were never once contacted by the Special Counsel’s office despite saying publicly on numerous occasions that we would cooperate fully with any government investigation,” says Fray-Witzer, who noted that Mueller’s indictment of 12 Russian nationals accused of hacking Democrats does not mention Gubarev or his companies.